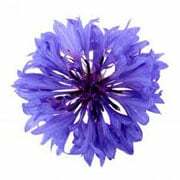 Cream Earl Grey This Cream Earl Grey, has the appearance of any other Earl Grey; Black tea with cornflowers. However, once brewed this tea takes on a soft, comforting feel, mixed with the anticipated Bergamot oils and citrus aroma. Type of Tea-Blended Flavoured Black Tea. Brewing Guide- Using boiling water, brew for 3-5 minutes depending on taste . Tasting Notes- This has all the citrus flavour of an Earl Grey but with soft, comforting creamy, vanilla notes. It is a unique and delightful Earl Grey! Colour in Cup- Dark copper liquor. Health Benefits- Some practitioners of Chinese traditional medicine believe that bergamot can assist in reducing anxiety and depression. Black tea comes from the same plant as green and white teas, (Camellia Sinensis) and is an excellent source of antioxidants and polyphenols. Antioxidants and tea polyphenols are documented in various research papers as inhibitors of various types of cancers in some cases. Also, black teas grown at high altitude generally contained more antioxidants compared to low altitude common green teas. History- Our Cream Earl Grey is a very enjoyable twist on traditional Earl Grey Tea. We blend Ceylon Estate Teas from the Dimbula, Uva and Nuwara Eliya tea growing districts all of which have very distinct flavours of their own. Uva is best for full, strong tangy tea, opposed to Dimbula and Nuwara Eliya which are light and softer with less tannin and a typical lemon bouquet. We also sell; Earl Grey loose tea with cornflowers, Decaffeinated Earl Grey loose leaf tea, Darjeeling Earl Grey loose leaf tea, Earl Grey Green loose leaf tea, Rooibos Earl Grey Tea, Rooibos Earl Grey with Lemon Peel, Earl Grey Tea Bags and more!